By Nicholai Zugerov, Moscow, 1899-1908 hallmarks. 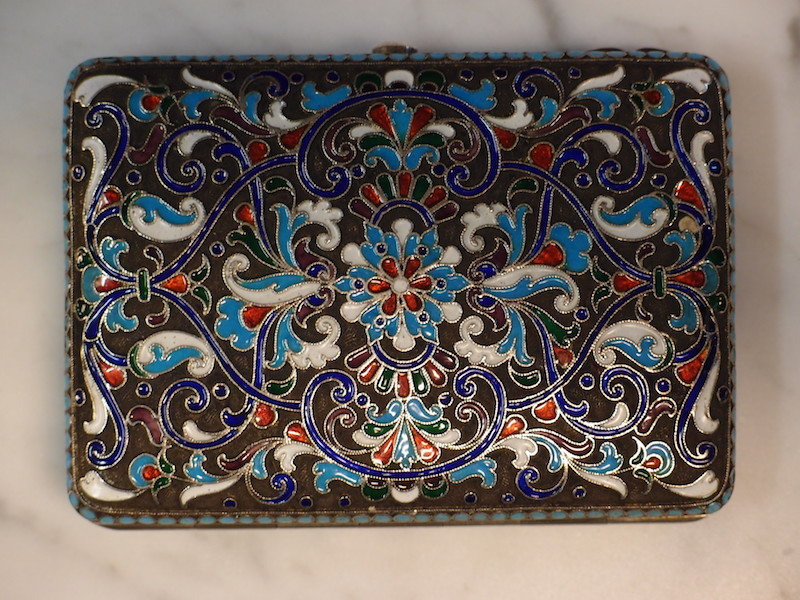 This is a genuine Imperial period 875 Russian silver cigarette case enriched with enamel. 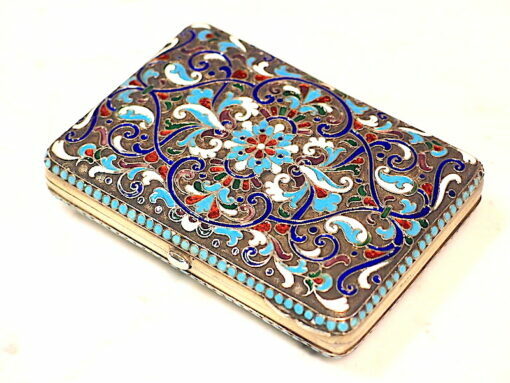 It is in excellent condition, as yet unpolished. This shows the jewel like transparent red enamel to perfection. 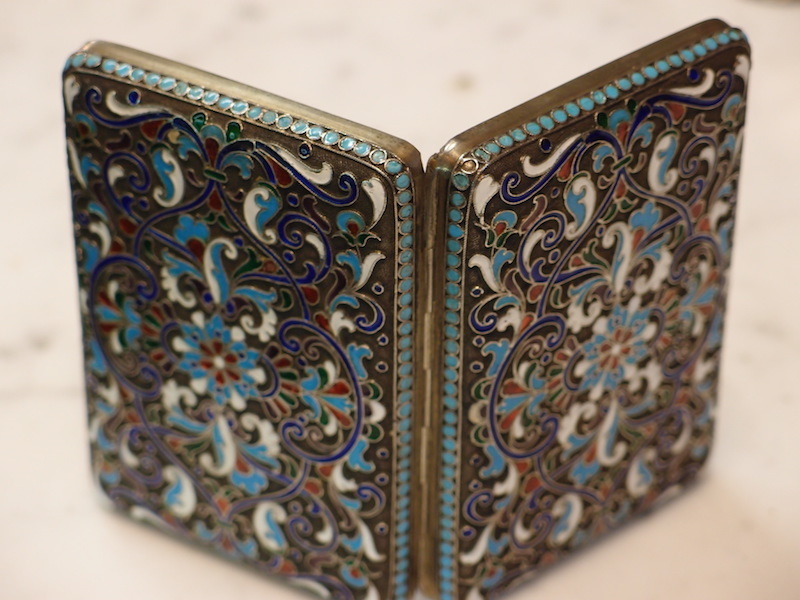 Each cloisonné with red enamel has a small cutting of gold leaf at its base, making the e red enamel a mirror. The fake enamel does not yet seem to have been able to replicate this. 10cm by 7 cm by 2 cm.170 grams. To enquire about this item, call on 03 9489 8467 or fill out the form below.